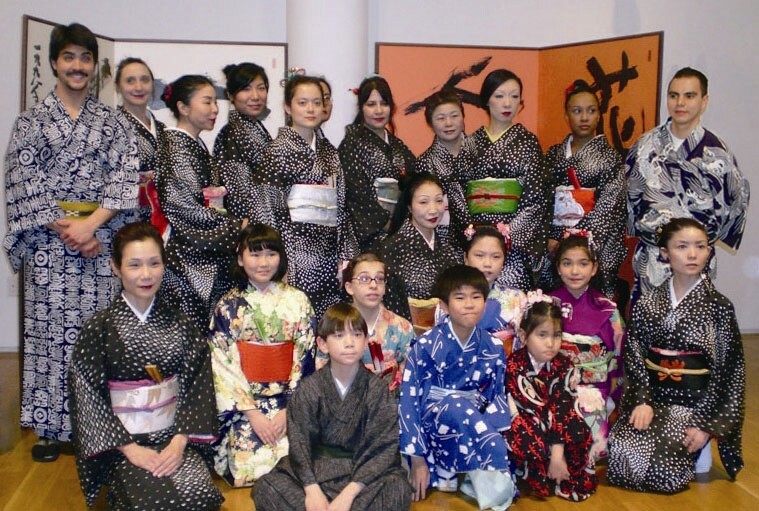 Sachiyo Ito & Company offers private lessons and classes of Kabuki Dance and Okinawan Court Dance. Beginners learn first, how to get dressed in Kimono, the basic movements, how to use dance fans for expressive movements, then a short dancer piece.Advanced students are also welcome.We also have new lessons for children. For more information about our classes including information about sceduling, please go to our “Contact Us” section and send us a message. A form of Japanese classical dance, originated in kabuki theater in the 17th century. The dance combines acting and dancing with elegant and sophisticated body movements. Okinawan court dance developed in the Okinawan court in the 18th century, the movement and style combine those of the Noh theater and indiginous dance forms.